Do you often wish that you could create a visually appealing task for your students or a newsletter that is going to hook your parents in with its awesome layout and instant appeal, but design is just not your forte? Well, now you can with Adobe Spark tools. 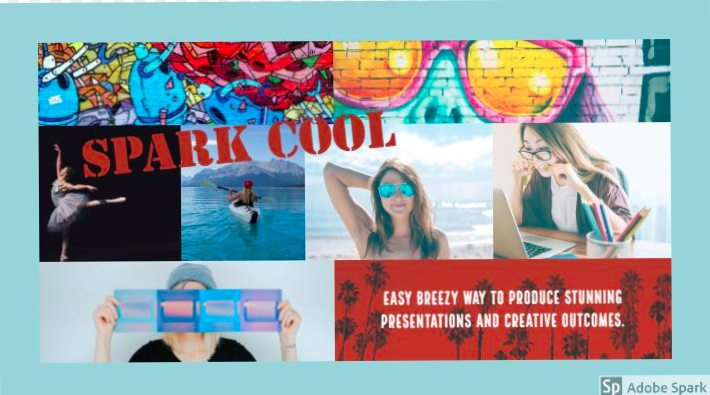 They’re SO easy to use and they allow you to create amazing presentations in next to no time – all for free. Adobe Post is designed to allow you to create dynamic, visually appealing posters and infographics. 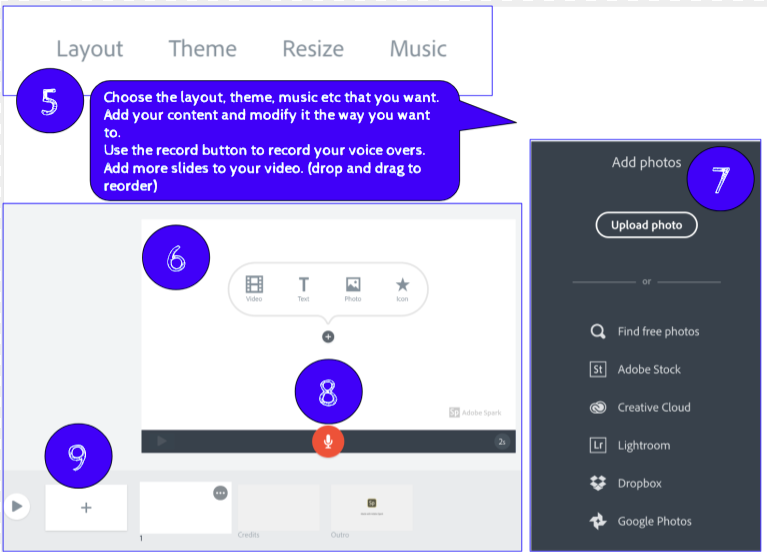 Adobe Video is what its name suggests, a video editing tool that allows you to add images, video, music and your own voice to create an awesome presentation in just minutes. 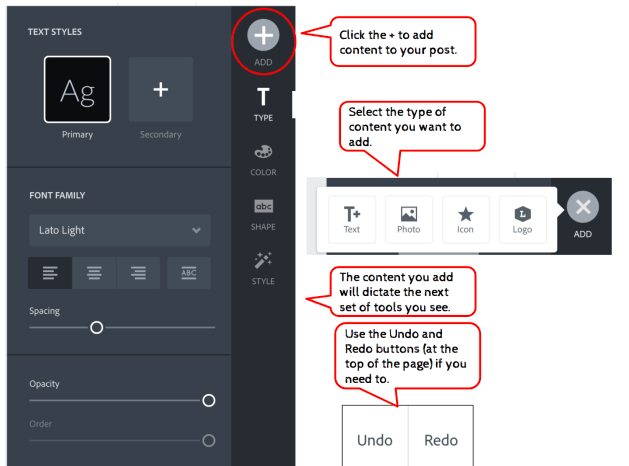 Adobe Page allows you to create a website-type presentation with multiple forms of content. 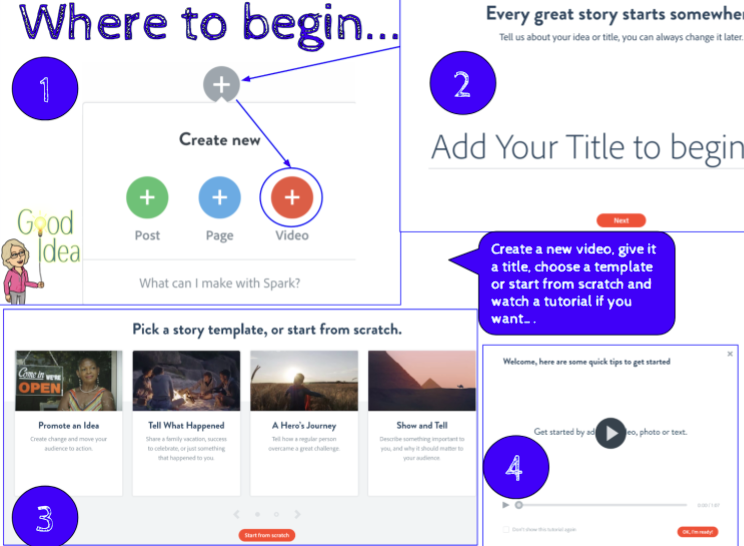 To begin your first project with these fabulous tools, head to adobe.spark.com. 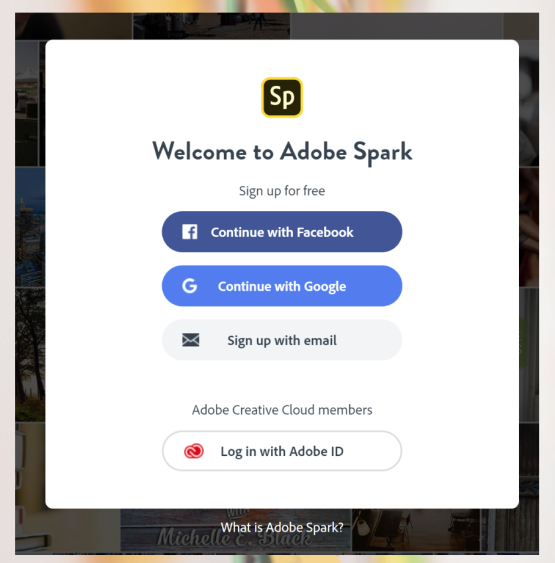 If you have an existing Adobe ID login with that, or if you haven’t been there before you’ll need to create a new account. You can sign up with an existing social media account or use an email account. 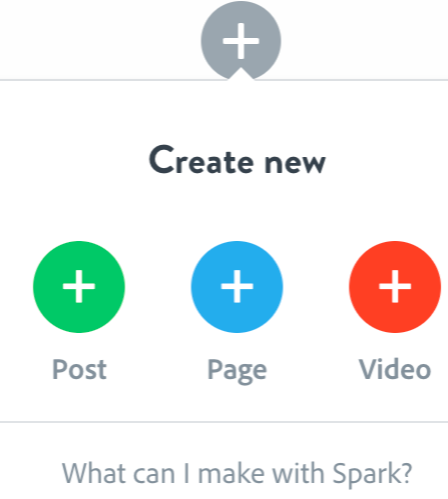 If you are wanting your students to use Spark to present their thinking, it’s a good idea to create one generic account, maybe a class email account, that everyone logs in to. This means that you, as the teacher, are able to see everyone’s work all at the same time. The last thing you want to do is have to log in to 32 individual accounts to view your student’s progress or their finished tasks. Once you have created your account, or logged in, the fun begins. Adobe has many templates, all designed for different outcomes, that you can use and adapt. You can also start your new project from scratch. The tools work the same way across all three to make it even easier for you and your students to manipulate and create awesome outcomes. 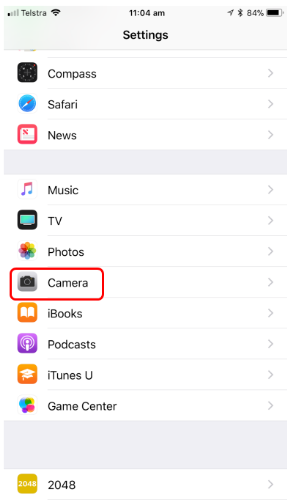 Photos can be added from your device or there is a search tool that allows you to find images that you are legally able to reuse. Manipulate them with filters and experiment with different layouts. The text editing tools aren’t huge, but there is enough to allow you to personalise your work and choose effects that fit with the message you are wanting to convey. By clicking on the text you are able to move it around and reposition it to wherever you want it to be. Spark suggests different layouts and designs for you, along with suggested colour palettes, or, again, you can choose your own. Icons can be inserted from the Noun Project and are free to use within the Adobe Spark range of tools. The Adobe Page tool is similar to Google Sites but has a very cool feature called the glideshow. 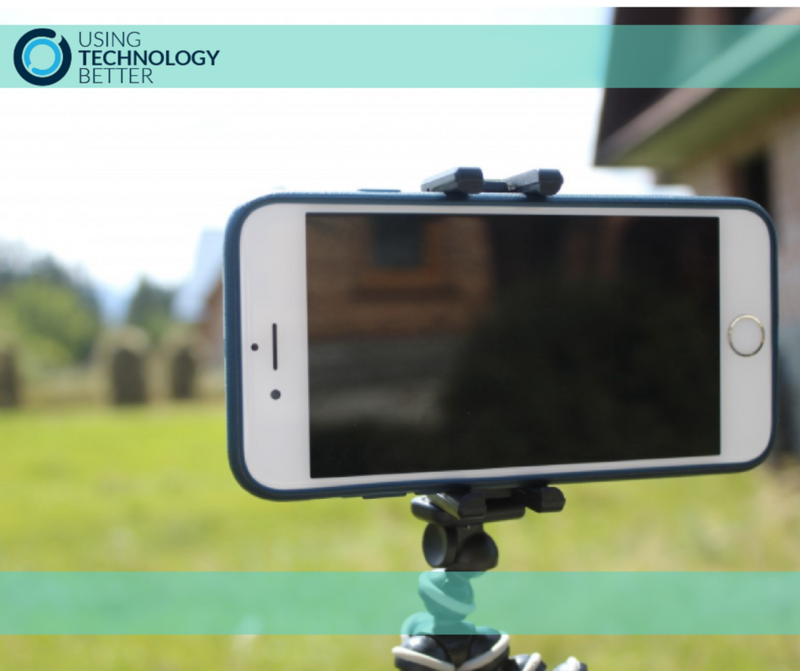 It allows you to add text, videos, photos, and links on top of images as you glide over them. Have a look at the image below to see what can be added to an Adobe Page. 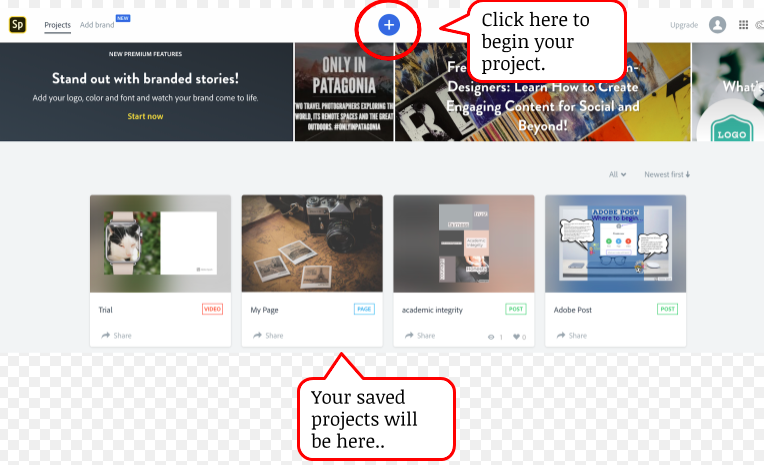 One of the really appealing features of the Spark tools is that while your students are creating their Sparks all their work is being automatically saved for them. No more cries of, “I didn’t save my work!”. Spark Posts can be downloaded as jpegs, videos can be downloaded as MP4s and the Pages can be shared with a link. Give the tools a go – you’ll be amazed at just how easy they are to use. 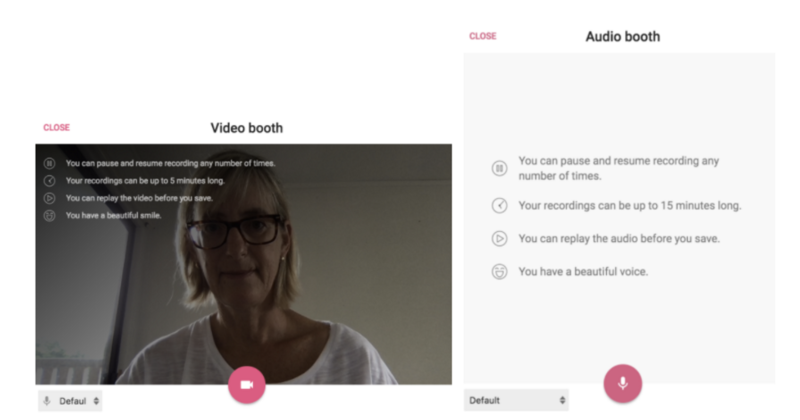 For more tips and tricks on how your students can present their thinking check out Lara’s blog here on creating animations and Pecha Kucha presentations in Google Slides. 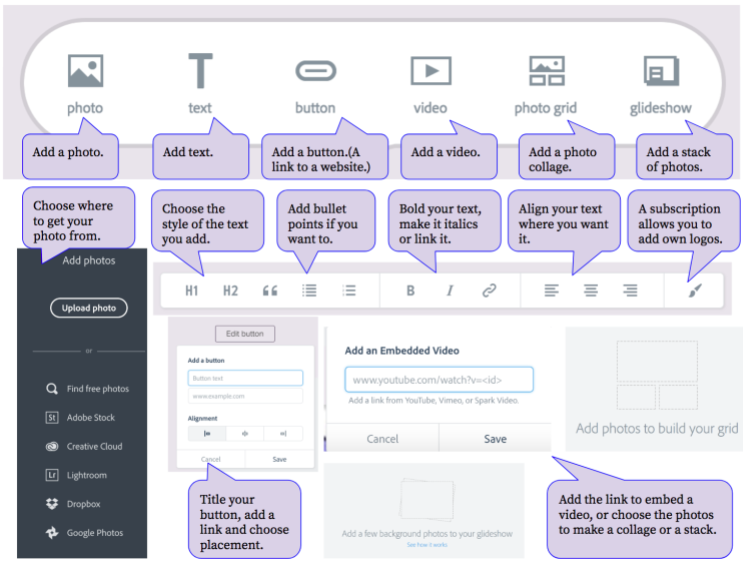 ClassroomScreen – A great, free tool for you and your students! 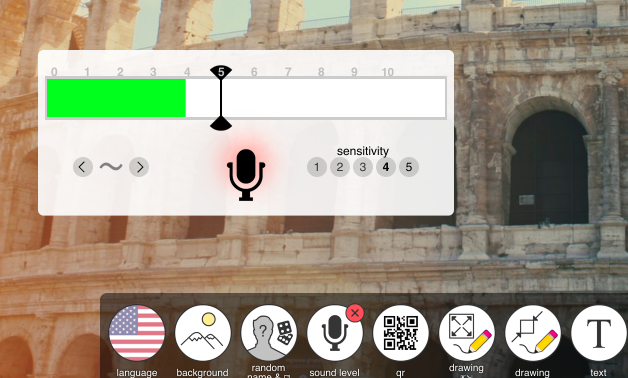 If you’ve ever used a timer, random name generator, sound level symbols or shared a link with your students you are going to love ClassroomScreen. 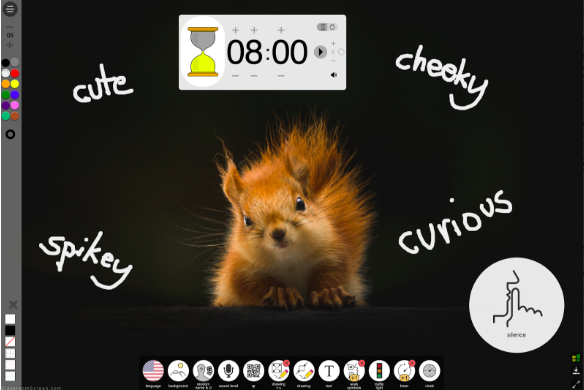 ClassroomScreen is a brilliant, FREE tool that allows you to customise a screen with widgets (tools) that will support classroom management and engagement. Your and your students will love how easily and quickly you can communicate with it. The symbols are great for learning about visual literacy too. 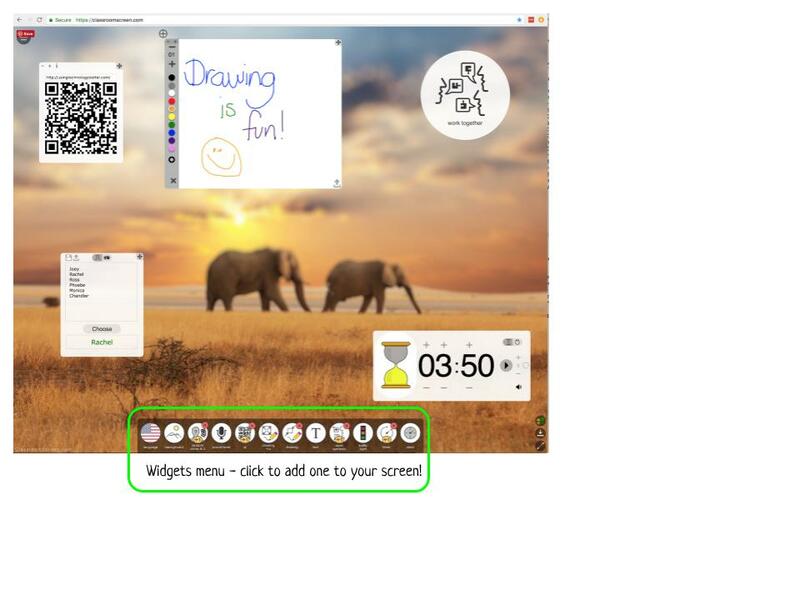 It is simple, fast to set up and brings some of the tools you use in your classroom to one place, displayed on one screen. Here’s a few ideas of how you could use it in your classroom. Work symbols – choose from silence, whisper, ask neighbour or work together and display on your board. Sound Level – this will measure the sound in the room. You can set it to a particular level and when the sound goes past that point the line will turn red. Traffic lights – Indicate whether you are available for students to approach you when working 1-1 or in a group. QR code – Direct students to web pages using the QR code. They can scan with a phone or iPad, or type in the link as shown above the QR code. 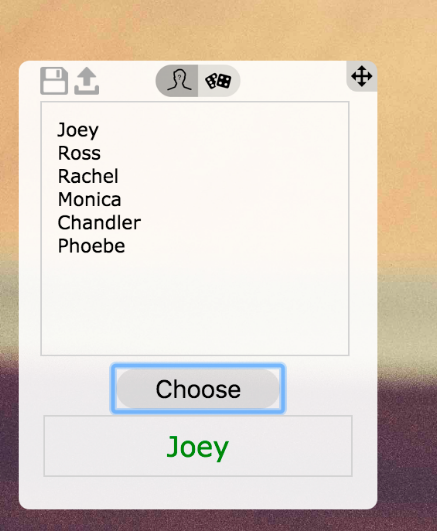 Random name generator – Type or copy and paste your students’ names into the text box, click on ‘choose’ and it will randomly select a name. You can also switch this widget to show and roll dice. Clicking on the disc and arrow icon at the top left will save your lists as a text file on your computer. Your lists will not be saved within ClassroomScreen. The background images are stunning! Choose one at random (or upload your own), brainstorm words and ideas using the fullscreen drawing tool (make sure you select a transparent background once you are in this menu) to record them on the screen. 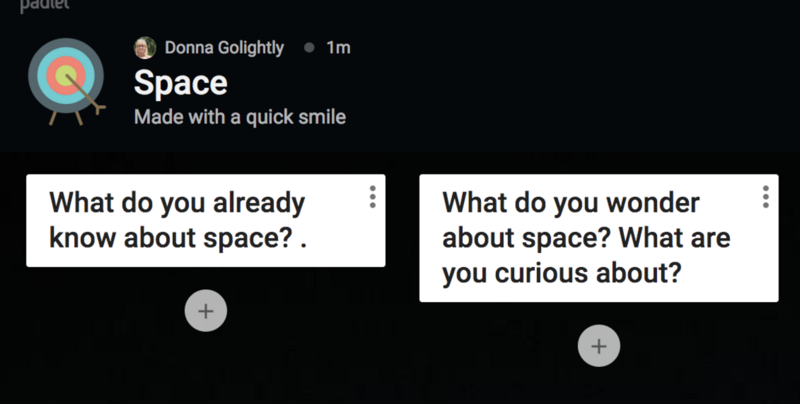 You could use the text widget to put some criteria on the board, then put on a timer and let them write or give impromptu speeches. The random name generator is a great way to make sure that students are participating – use this in conjunction with some prepared reflection questions to get them to think about their learning. Make sure you give them think time for this! The exit poll feature allows you to enter a question and have students select a face to show their response to the question. The default question is ‘What did you think of today’s lesson?’ but you can change this easily. If you have an interactive whiteboard students can select from there, or have them come past your laptop or iPad to do this. You can choose to show or hide the results while they are entering their responses. Taking a screenshot of the finished poll would be a great way to record evidence of their thinking. While you can’t save your ClassroomScreen’s they only take seconds to set up! There’s great help and demo videos on the site too. Just click the three lines in the top left corner of the ClassroomScreen screen to find out more. Check out our other blogs for more great ideas for your classroom. I’m sure you’ve heard a variation of the famous phrase ‘There is nothing certain in life except death and taxes’. While that may have been true when this was first uttered in the 1700’s, I reckon a 21st century version would be ‘there is nothing certain in life except death, taxes and passwords’!. Password management is a problem that plagues most of us. We know that we’re supposed to have a strong, unique password for every online login, when the average person has 27 separate online accounts, it’s no surprise that people re-use weak passwords or write them on sticky notes. If you’re doing either of these things, or just want to spend less time remembering your passwords, it’s time to make friends with a password manager. A password manager provides secure storage for all your online passwords, so you don’t need to actively remember them (or write them on sticky notes!). Typically, a password manager will automatically populate the login box on the websites you visit. Some password managers can also warn you about weak or duplicate passwords, and help you generate strong, random passwords instead. There are heaps of free and paid password managers available. 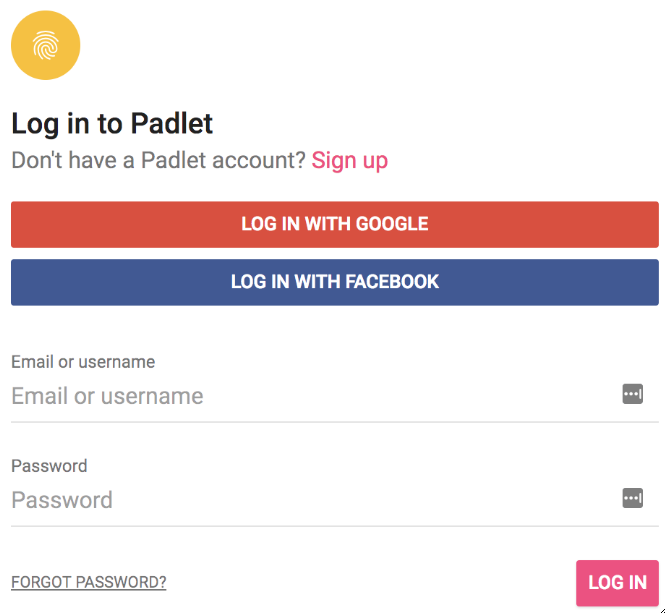 In this post, I’ll explore two tools – Google’s Smart Lock for Passwords (for web and mobile Chrome and Chrome OS) and LastPass (for web, iOS and Android), and let you know which one I think is best. Google’s Smart Lock for Passwords is the password saving feature available in Chrome on the web, Chromebooks, Android and iOS. If you’ve signed in to Chrome, your passwords will be synchronised across your devices and protected by your Google account login. 1. Visit https://passwords.google.com and sign-in with your Google account. 2. Toggle the Smart Lock for Passwords option to on. 1. When you login to a website, Chrome should automatically display a box prompting you to save your password. However, if the box does not appear, click on the key icon in the address bar. 2. Click the Save button to save the password. Tip: If you don’t want to save the password for the site, and don’t want to be prompted again, click Never. 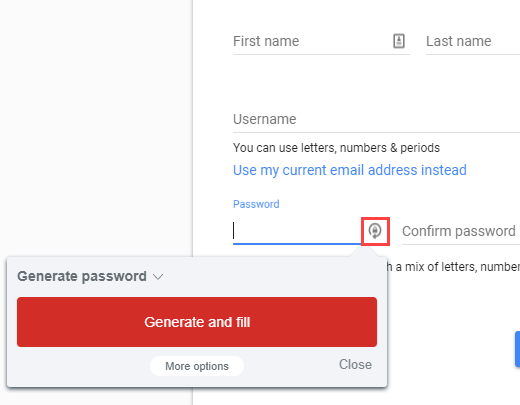 Assuming you have signed in to Chrome, you can view and manage your saved password by visiting https://passwords.google.com and sign-in with your Google account. A list of all your saved logins will be displayed, as shown below. If you have not signed in to Chrome, you can view your saved passwords within Chrome settings (expand the advanced section and look for the Passwords and forms section). LastPass provides password management via extensions and apps for most browsers, operating systems and mobile devices. 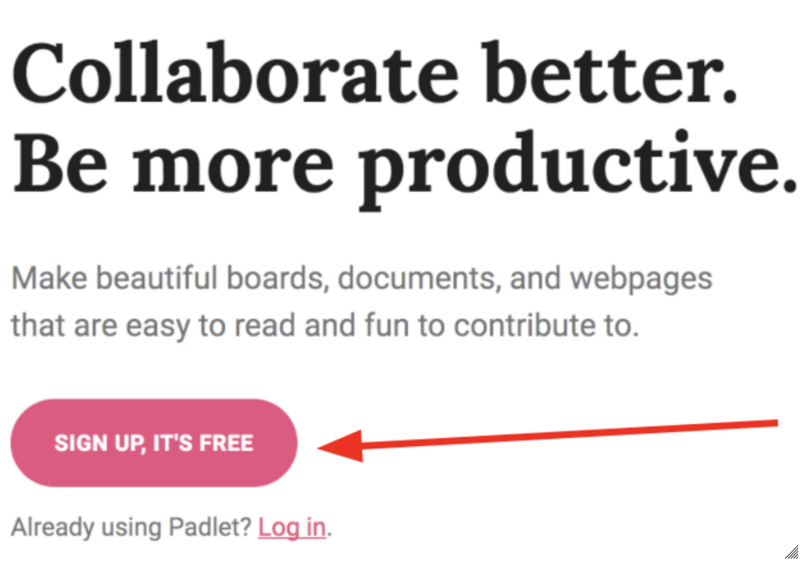 The free version of the tool is feature-rich and suitable for most, but premium, family and business plans are available if you’re looking for more. At the heart of LastPass is your password vault, which is protected by a master password. This means you only need to remember one very strong master password to securely store and access all your other passwords. The tool also has a secure password generator, which can help you avoid reusing passwords. LastPass can also store secure notes (such as PIN codes and account numbers) and allows you to share logins with others. 1. 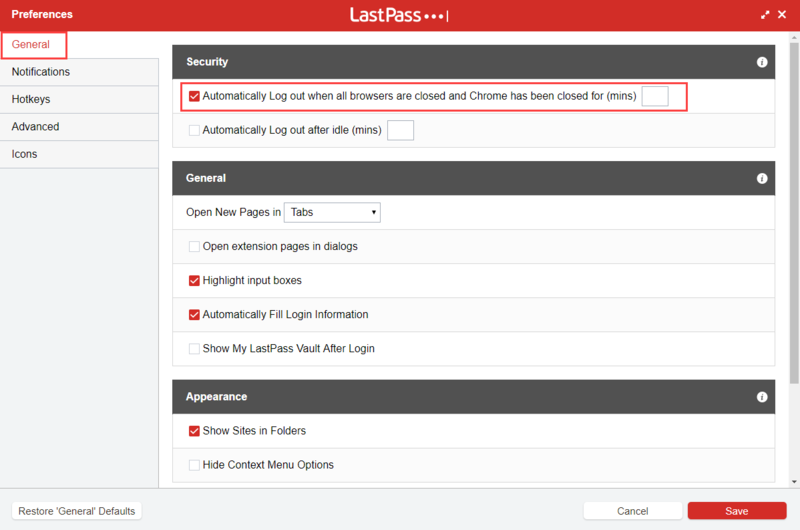 Visit https://www.lastpass.com in your preferred browser and choose the Get LastPass Free option on the home page. 2. When prompted, follow the instructions to install the appropriate extension or app for your browser. Here’s what it looks like in Google Chrome. 1. 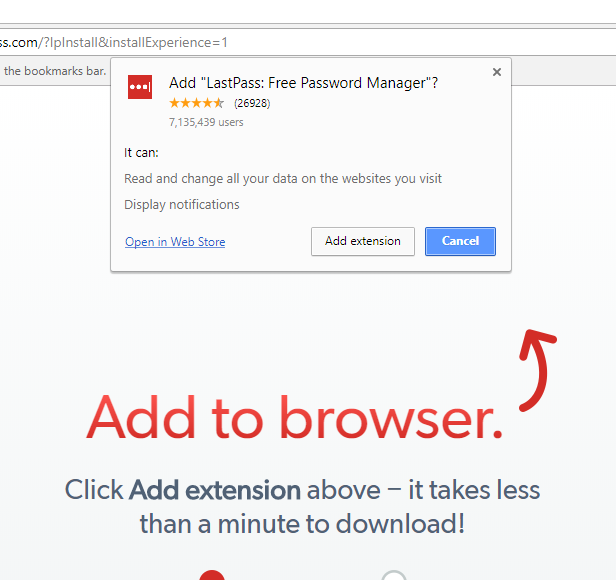 Click the newly installed LastPass extension (or open the app). 2. Enter your email address, accept the terms and choose the Create an account option. 3. When prompted, enter your master password. IMPORTANT: It is essential that your master password be one that you have never used on any other website (and never will use on any other website!). It should also be strong and complex. I recommend reading through the LastPass article how to make a strong master password before you create your account. 1. 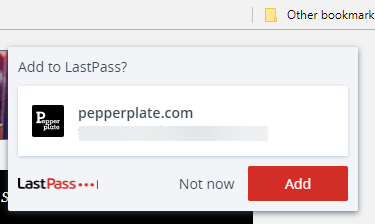 When you login to a website, LastPass will automatically display a box prompting you to save the login details for that site. 2. 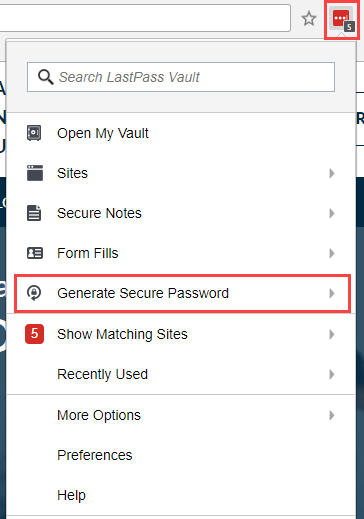 Click the Add button to save the login details to your LastPass vault. The first way is to open the LastPass extension or app and choose Generate Secure Password. You can then copy and paste the new password to wherever you need it. Here’s what it looks like in Chrome. The second way is to click the generate password icon that appears in password creation fields (see the image below). Then click the Generate and fill button and LastPass will create the password and populate the password field. All the login details that LastPass saves are stored in your vault. The quickest way to access this is via the LastPass extension or app. Here’s where to find it in Chrome. Adding, editing and deleting sites (your saved logins). Organising your sites into folders (as shown in the example below). Sharing site login details with other LastPass users. Creating secure notes for storing other private information. 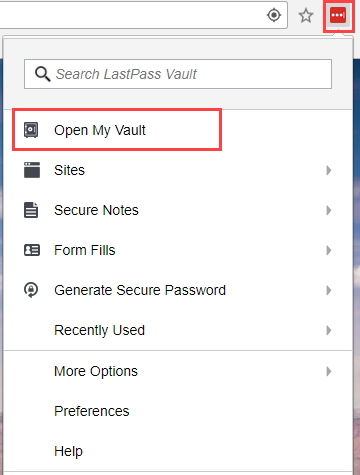 You can learn more your LastPass Vault here. 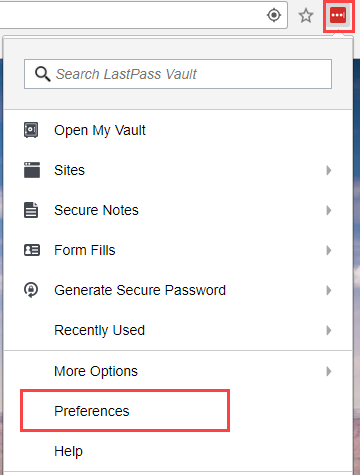 Once you’ve setup LastPass, it’s a good idea to take a look at the preference settings for the app or extension in your browser. Here’s where to find them in Chrome. In particular, consider change the settings to force LastPass to automatically logout when you exit your browser. While this does mean you will need to re-enter your LastPass password every time you reopen the browser, it’s more secure than leaving it permanently logged in. It also helps ensure you don’t forget your master password. Here’s where to find the setting in Chrome. Google’s Smart Lock for Passwords is quick and easy to setup and has no additional software to install. It’s also simple to use and free with any Google account. However, it can only be used from within the Chrome browser. 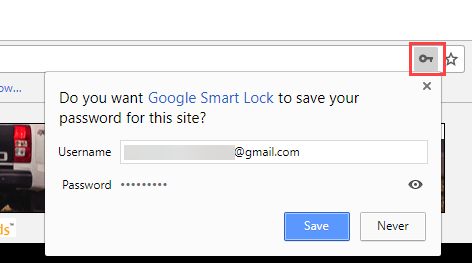 The biggest limitation of Smart Lack for Passwords is that it is only protected by your Google account login (assuming that you have signed in to Chrome). That means that if your Google account login is compromised, so are the rest of your logins. 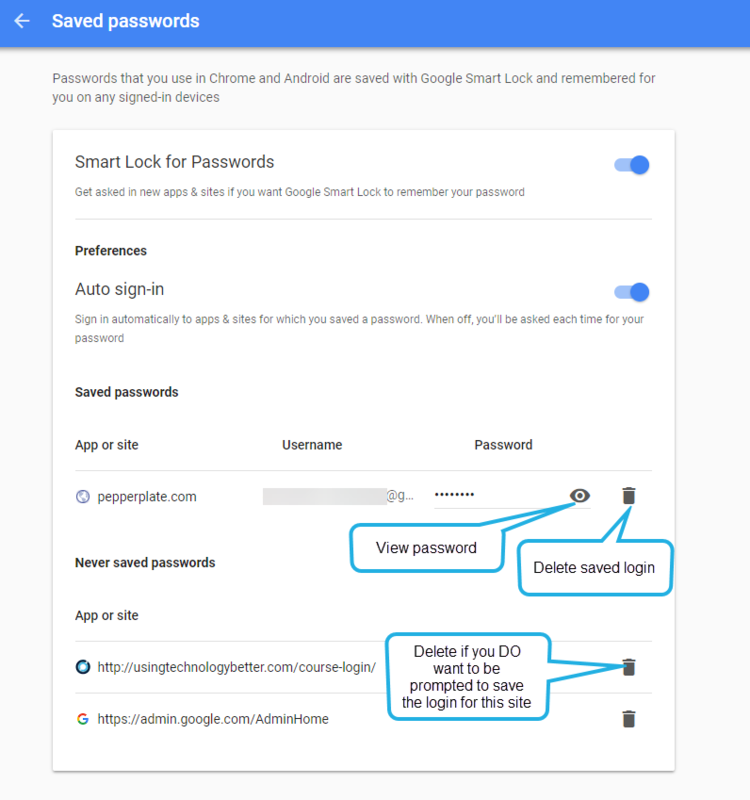 I strongly recommend setting up 2-step verification on your Google account if you plan to use Smart Lock for Passwords. Google’s tool also lacks the additional features found in LastPass, namely the secure password generator, folders and secure notes. 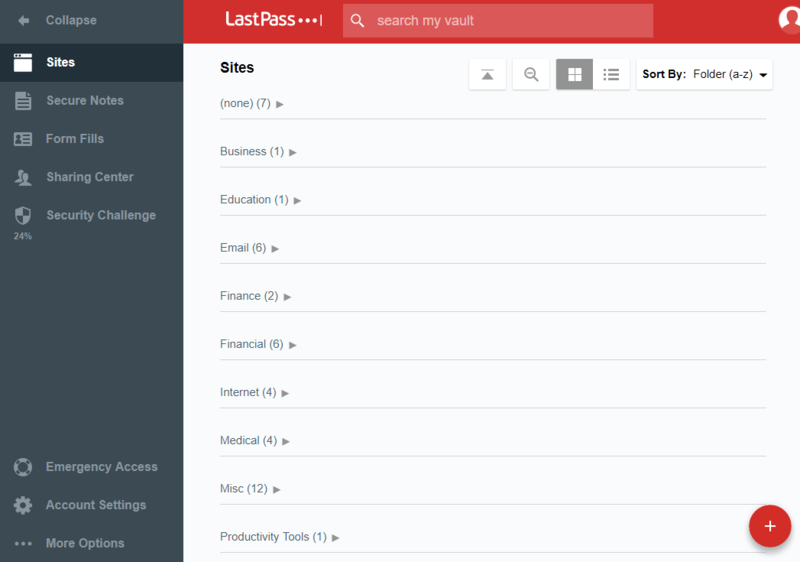 If you’re looking for sophisticated password management, I believe LastPass is the superior option. The use of the master password adds an extra layer of protection and the application is available across most operating systems, browsers and devices. The ability to share login information is also great for online accounts that are shared amongst families or colleagues. Either tool is a much better option than no password manager at all. The important thing is to select a tool that meets your needs and start making friends with it right away! If you’d like to learn more about staying safe online, Pixel Privacy is a great, easy to understand resource to check out. If you’re looking for more tips and advice for using technology, join our online professional learning community. The earlier iteration of Apple Notes was a simple note accumulation platform with a lack of functionality and sharing. Now with iOS11, Apple Notes has a lot more functionality and ‘cool things’ that makes it a great alternative to Google Keep. When you line them up next to each other on a mobile device, which one comes up trumps? 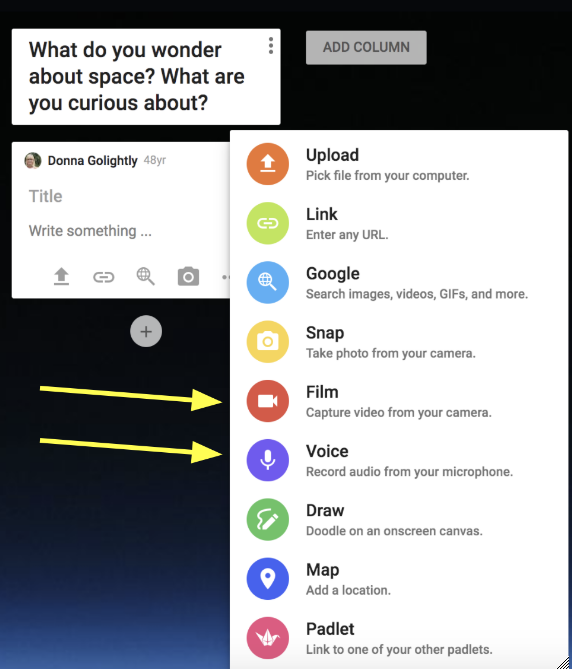 In a nutshell, Keep is a note taking app within the Google ecosystem. Keep is web based for a computer, and has mobile apps for Android and iOS. 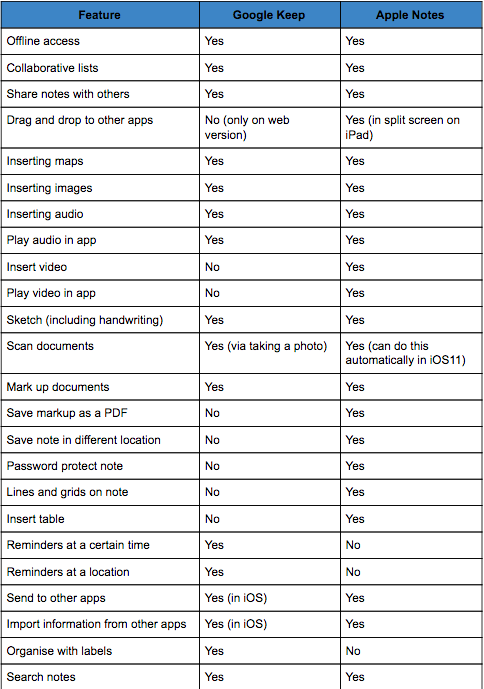 It offers a variety of tools for taking notes, including text, lists, images, and audio. Notes is Apple’s note taking app. It is native in their iOS and macOS operating systems. As with Keep, Notes offers a number of tools for taking notes, including text, video, images, information from other apps and more. Let’s imagine we have a mobile device (like a phone or tablet) with Notes and Keep lining up for the 100 metre sprint. Let’s go feature for feature and see who wins. 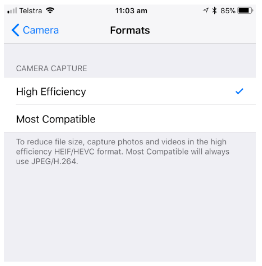 All these comparisons were done in iOS11, so some of the functions may not be available in the Android ecosystem and vice versa. I think it comes down to two things to decide a winner. Are you operating in one ecosystem, for example only in iOS? If so, then Notes just integrates so well across all the Apple apps as well as third party apps in the Apple ecosystem. In the classroom, this seamless integration is a plus. Google Keep will work in both. What are you using the app for? 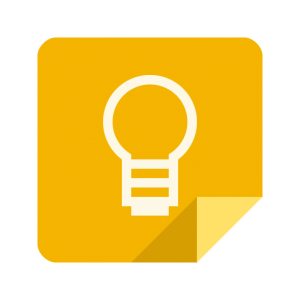 If you need reminders and want to use any device on any platform, then Google Keep is nudging ahead. If you want to utilise the integration of apps in the iOS environment, then Notes nudges ahead. As with any comparison, there needs to be a caveat. There are some fantastic features that each offer. With Notes, the ability to scan a document in, sign it and then send it as a PDF is excellent. 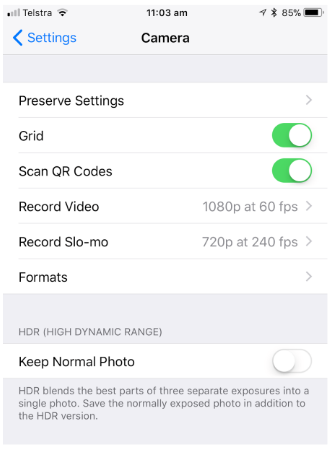 If you adjust the settings, any document will be automatically scanned in when the camera is activated. The ability to search handwriting is also a game changer and this happens on the device and does not rely on online connection for it to happen. With Keep, having reminders both at a time and date and location has saved me a few times. A quiet ping from my phone on the way past the shops to remind me to pick up milk has saved many a u-turn. The search function in Keep is also quick and allows searching via categories, which is excellent. With both apps, the ability to share and collaborate is great and is what we now expect. Building a collaborative list, like a shopping list, means that anyone can add to it, making shopping easier and more efficient. So, taking the cowardly position, I am going to call a draw!